Happy Star Wars Day! 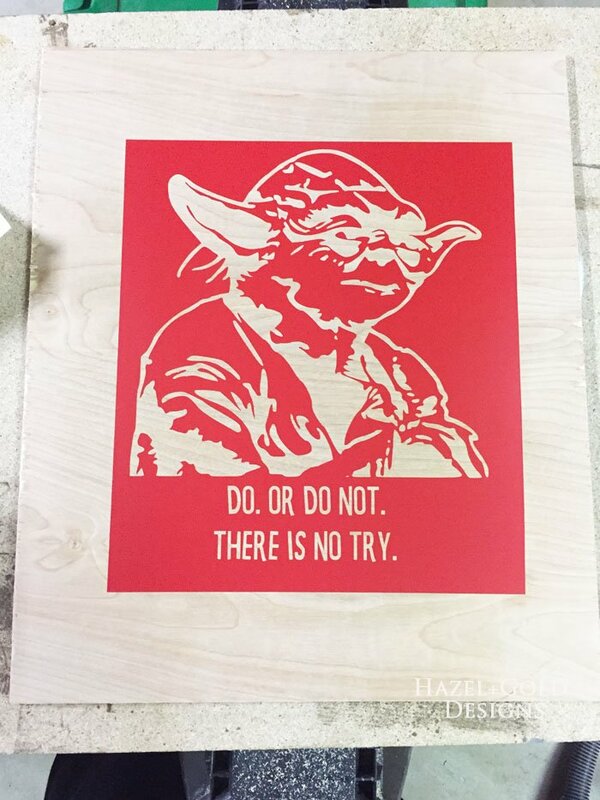 This is one of my favorite days of the year and I’m celebrating by bringing you a simple DIY Yoda Wall Art project. I hope you love it! 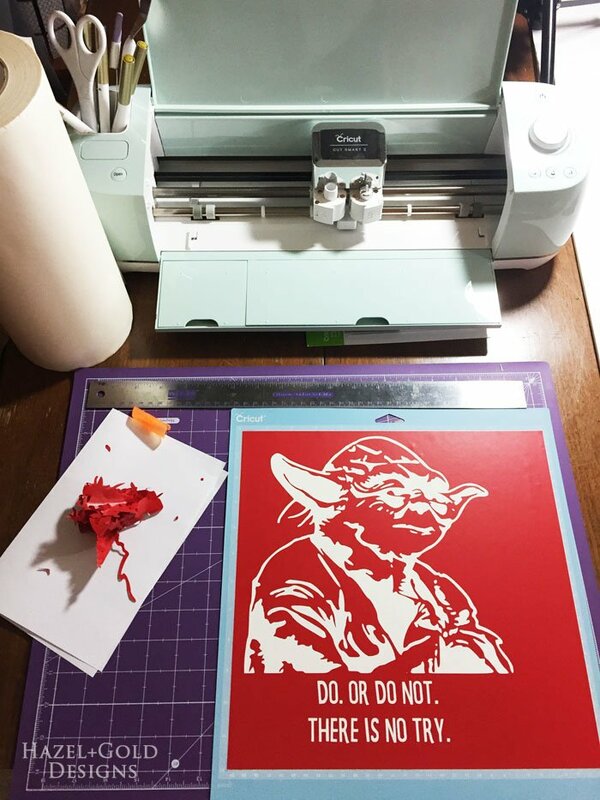 I’ve also teamed up with a few other bloggers sharing some stellar DIY Star Wars Projects! 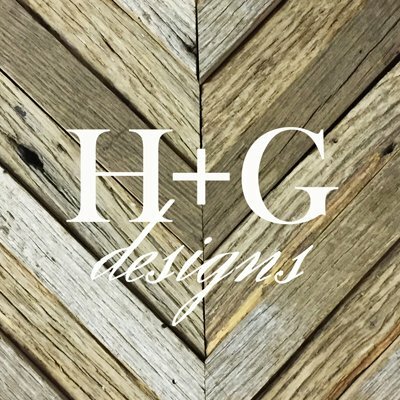 Check their projects out too! Just click on the links below this image. 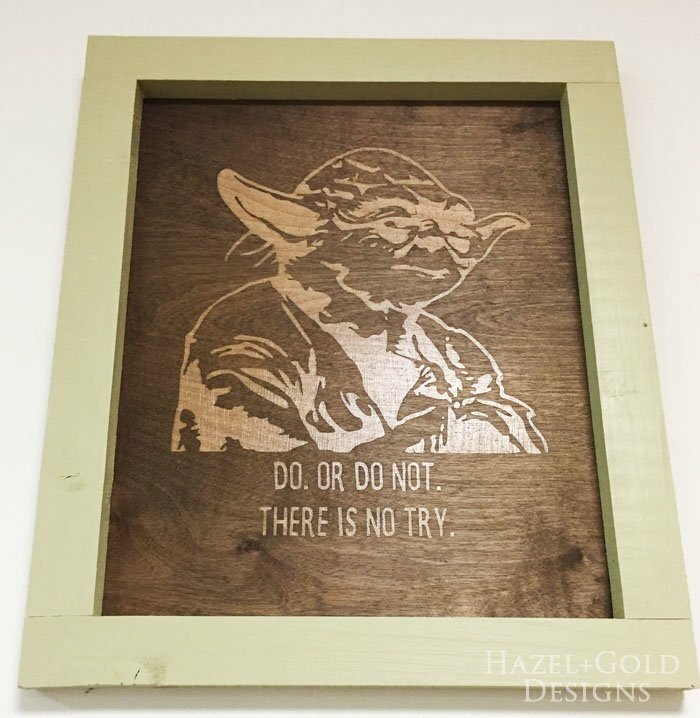 Okay, here’s all the info you’ll need to make this awesome Yoda Wall Art! Do it, you can. 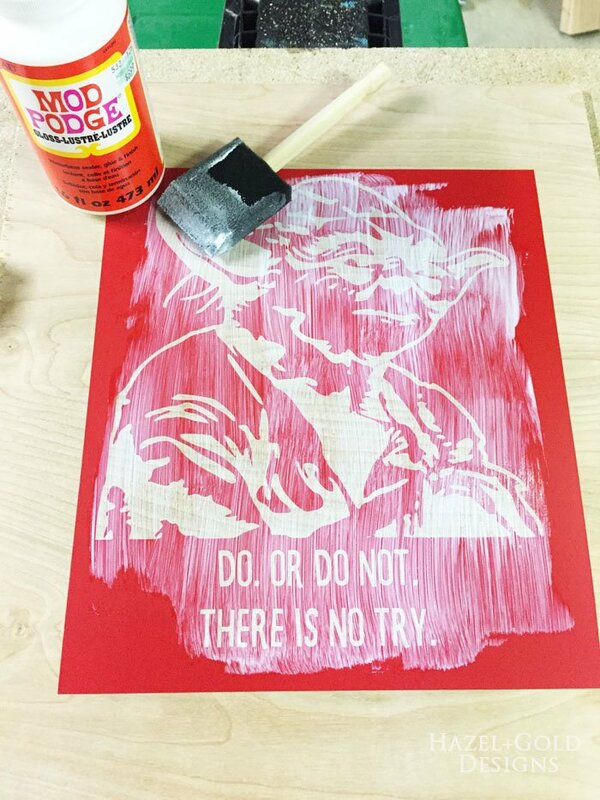 Alright, so I made this Yoda Wall Art just using the supplies I had on hand. I realize that not everyone has these things, but it’s still a pretty inexpensive project. Anyone could make it. Contact me if you need a vinyl stencil. And the Home Depot or Lowes guy will cut the wood for you, if needed. 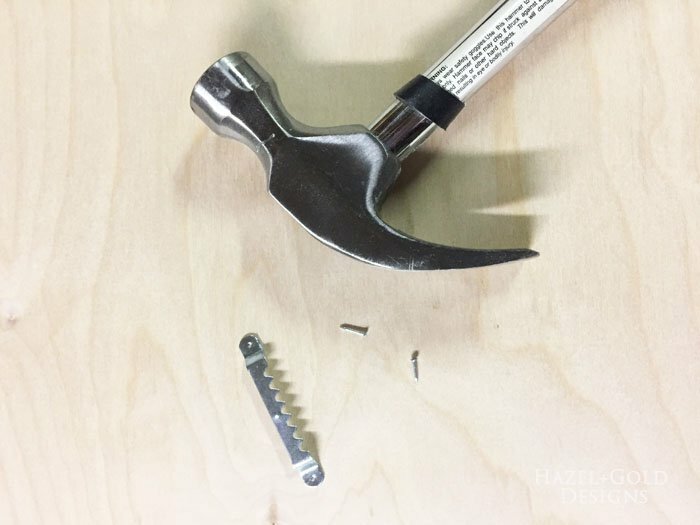 You could even use small nails and a hammer to attach the back if you don’t have a nailer! I’m telling you, it’s not a complicated design or project. You can do it! REMEMBER: If you like this project, please Pin this pinnable image or click to social media buttons to share via other social media channels! Find vinyl big enough to be your stencil. Remember, you are using it as a stencil so rather than weeding the negative space, you are leaving it and weeding the image. 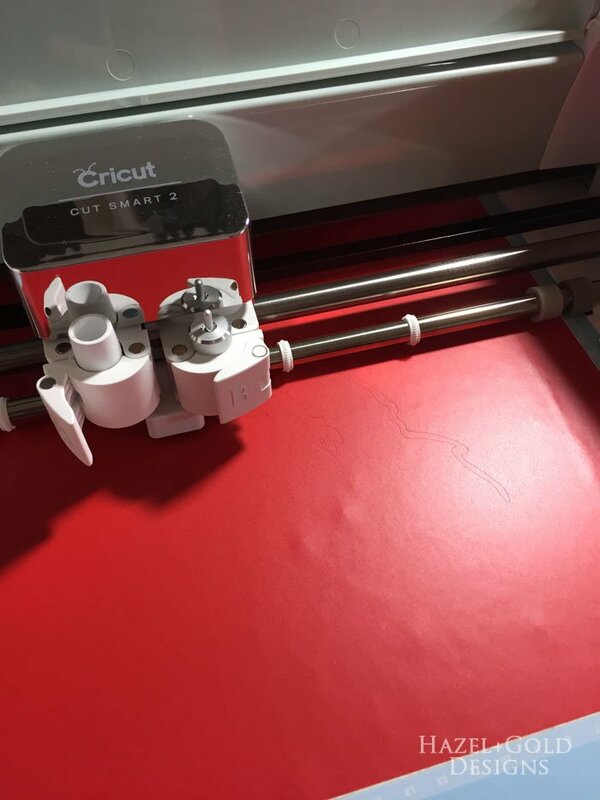 Design your image, and cut it out with your vinyl cutter. 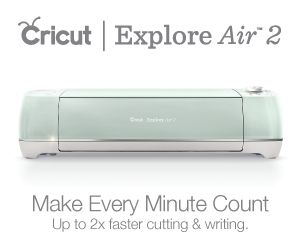 I happen to have, and love, my Cricut Explore Air 2 . Next, weed the Yoda wall art design. 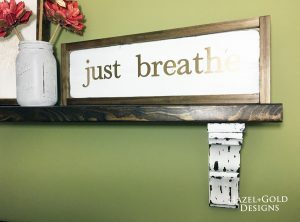 Like I said, remember you are making a stencil, so you are weeding the part that you will want to show lighter on your wood. 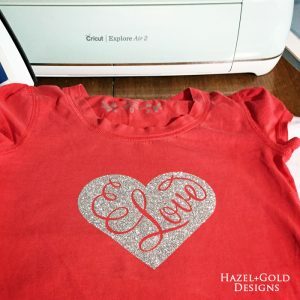 Add transfer paper to the top. 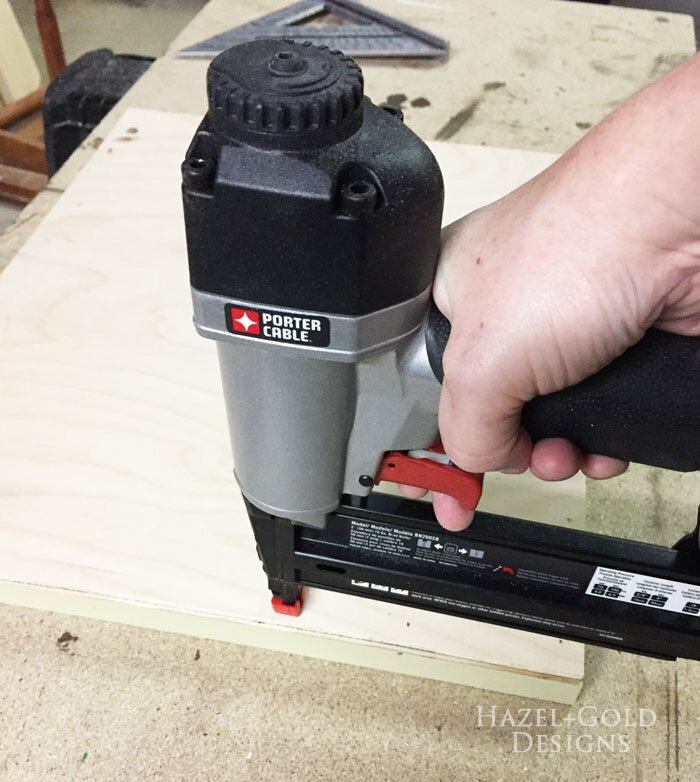 Cut your 1/4″ plywood board to the size you want your sign to be. 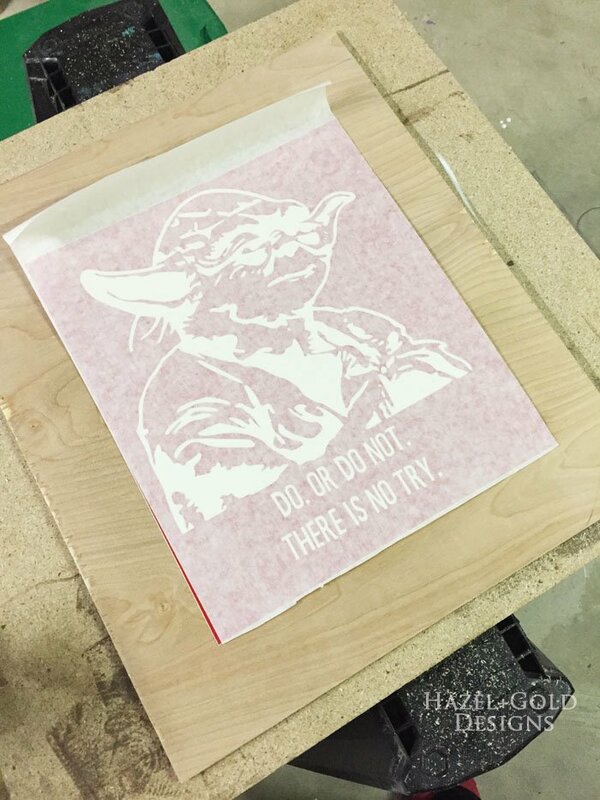 Arrange your Yoda wall art stencil with the backing still on it, to align it exactly centered, or wherever you want it to go on your wood. 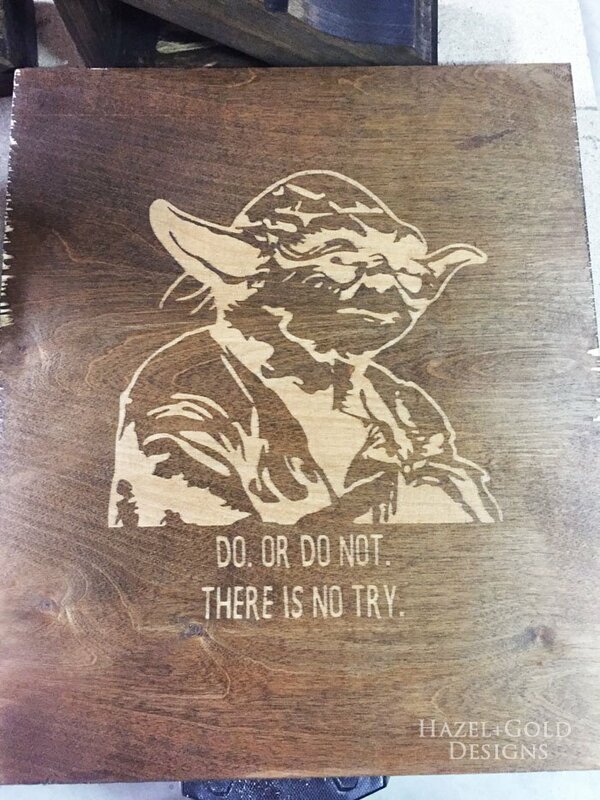 Apply the vinyl stencil to the wood. If you haven’t done this before, there are TONS of tutorials on YouTube that will show you. The way I find easiest is to make sure there is transfer tape at the top to hold it in place, then I life the entire thing and peel off just part of the backing (near the transfer tape holding it) and cut a few inches off. I slowly lower the image back down, using a plastic ruler and slowly pressing the entire thing down while I go, to be sure it lays back down completely flat. I then repeat that process, cutting off a little of the backing at a time, until it’s all gone and the stencil is on the wood. 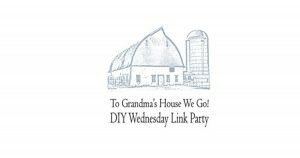 Time to Mod Podge (aff link) ! 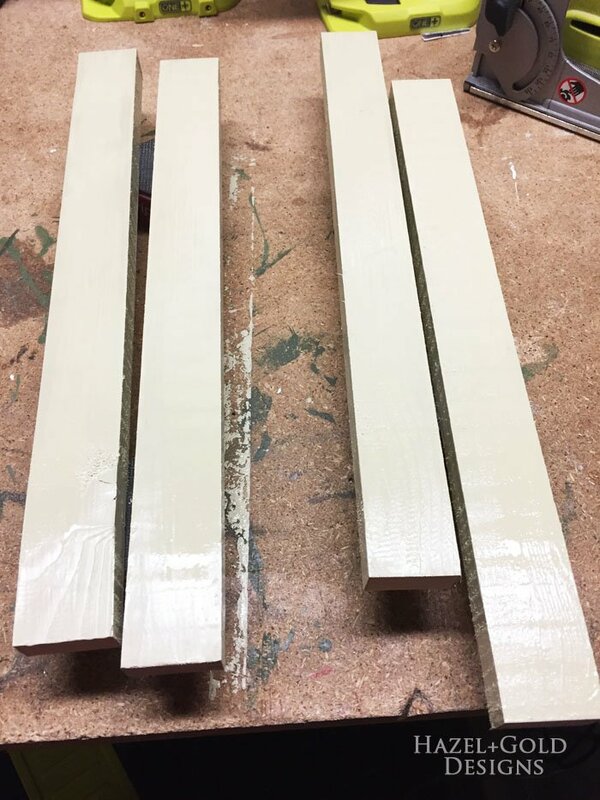 This is what will keep the image coated so that the stain won’t seep into the wood there and it will be lighter in the end. 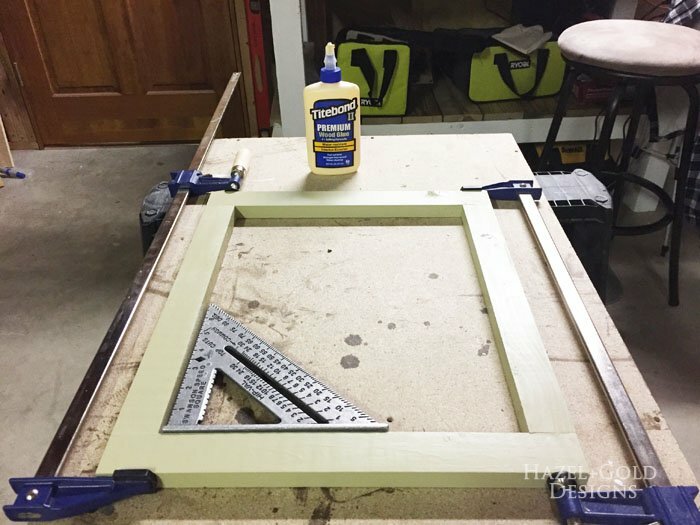 Once the paint has dried, glue and clamp your frame together. Definitely make sure they are square. 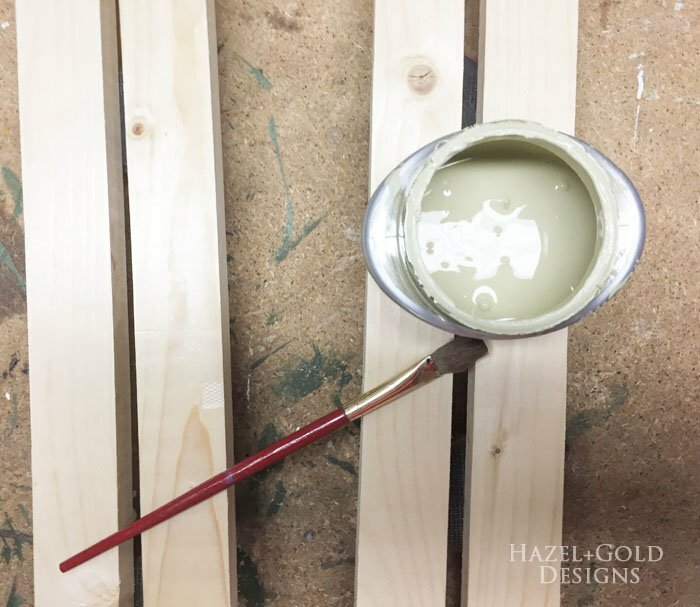 While the glue dries on your frame, let’s get back to the design. After the decoupage dried I grabbed an old rag and dipped it into the stain. The trick here is to let it soak in a little so there isn’t a ton of fresh stain on the rag, then go quickly over the image rubbing it off as you go. 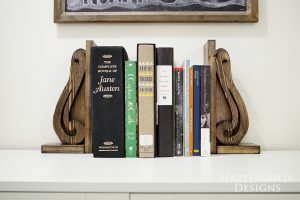 You DO NOT want a lot of stain to get onto your design because it will SEEP in under the decoupage. By just wiping a little on and immediately wiping it off, it prevents the stain from soaking in as much and you end up with an awesome lighter design! Alright, so let this dry. You can then coat it with poly if you want, but I chose not to. The next step is to nail the back onto the frame. To do this I used wood glue, and my air compressor and brad nailer. 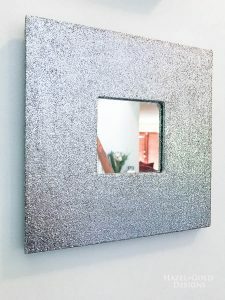 I glued, placed the frame on, held it in place and nailed. 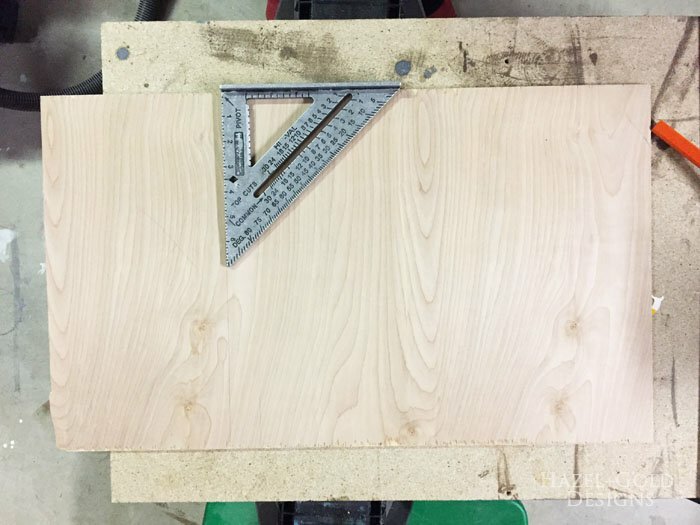 If you are doing the nailing manually, you’ll likely want to clamp the frame on first. Final step is to attach some sort of hanging hook on the back so you can hang it on the wall if needed. And then you’re DONE! And there you have it! 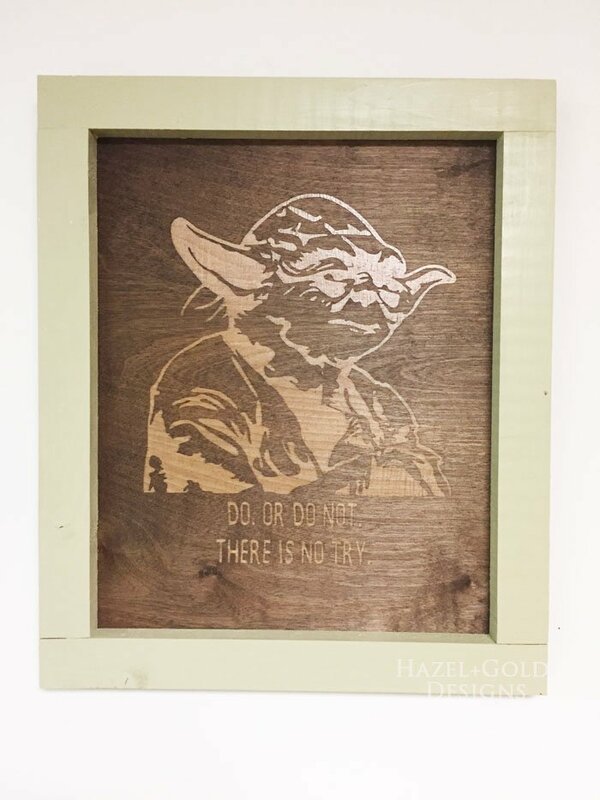 Some awesome Yoda Wall art inspired by our all-time-favorite Star Wars. One of the best of all time. Hope you enjoyed the tutorial. As I said, have a Happy Star Wars Day, my friends! May the Fourth be with You! 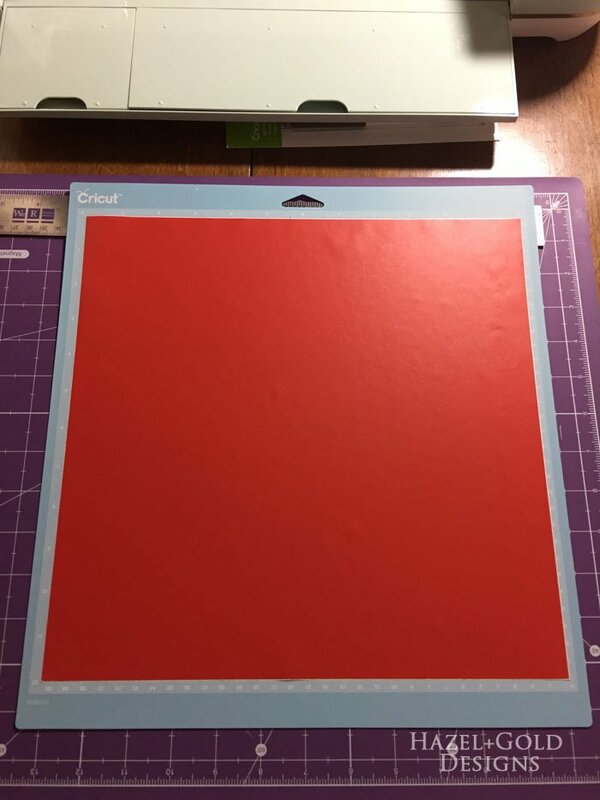 Cricut Explore Air 2; My First Projects! Omg wow this is absolutely incredible! I love to do this DIY for a few of my friends’ birthdays coming up. They’ll love it. Oh wow! I must show this to hubs. He would love this! 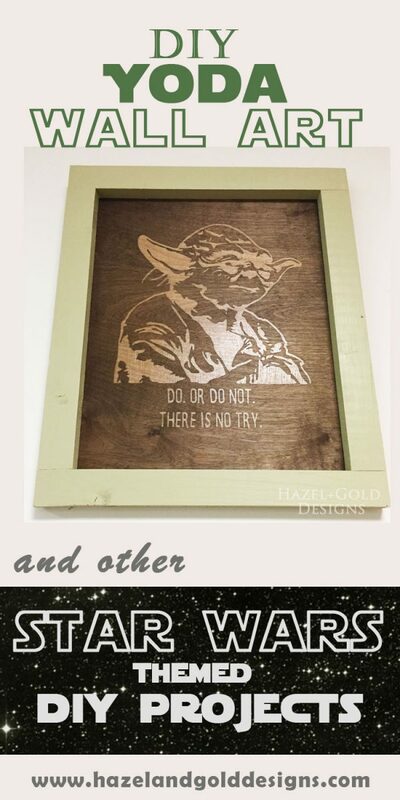 This would be awesome to make for those die hard Star War fans. Very cool idea. 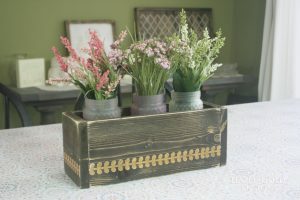 And love the modpodge trick too! Pinned to a few boards. Happy Star Wars Day! Thank you so much Stephanie! You’re awesome! 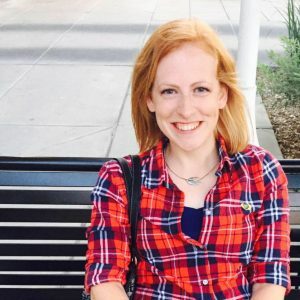 Thank you Ashley! I was thinking one for each character with different colored frames would be so cool! Appreciate your comments!